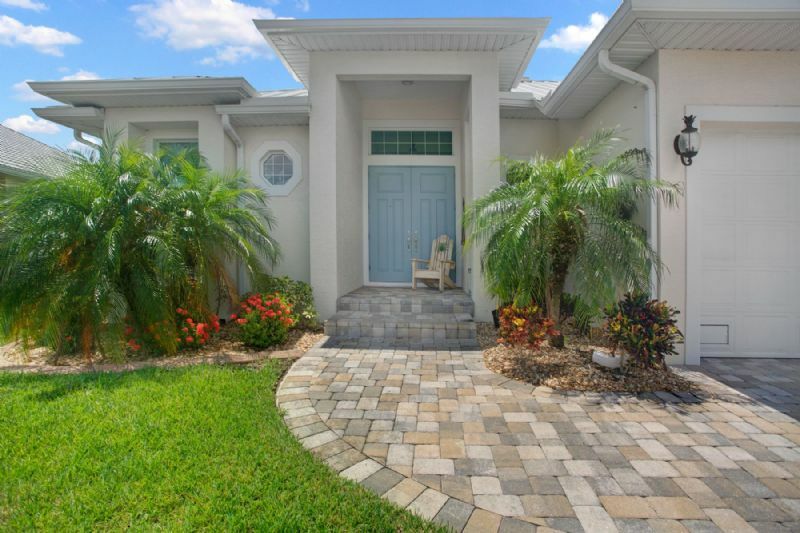 Gorgeous Vacation Rental Home in Punta Gorda Isles! This 3 Bedroom, 2 Bath Canal home features a boat dock, heated volleyball pool and spa. It's located just minutes from downtown Punta Gorda, Port Charlotte Beach, parks, golfing, fishing piers and marinas with endless activities for the whole family. After a busy day, come home and relax on the tranquil, screened-in lanai while enjoying the intersecting canal views. Cable and internet included. Minimum 90-day rental. No pets.